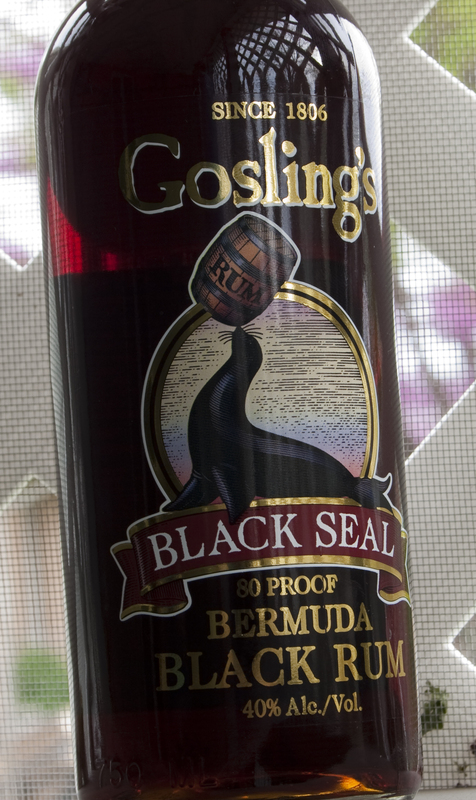 T’was a Dark and Storm night, and all through the house Gosling’s Black Seal Rum let lose it’s haunting call, echoing through the hallways and down the stairs. “Drink meeeeeee,” it moaned — if it could moan, since it’s an inanimate bottle and contains no vocal chords. “Drink me with ginger beeeeeeeeeeeer,” it would continue it’s mournful dirge. Then I’d stop drinking, because by that point my bottles are talking to me. And no project is worth that kind of mind freak. The last time I used Gosling’s, I made a simple but delicious drink called the Ginger Gale, which was nothing more than Black Seal rum and ginger ale. Tonight, we’re going to try the Dark and Stormy, Bermuda’s official cocktail. Now, for this drink to be OFFICIAL official, you’re supposed to use Gosling’s with Barritt’s Ginger Beer. I can’t track any of that down in my town, so we’re just going to go with a generic ginger beer. Pour the rum into a highball glass filled with ice, stop with ginger beer. Stir gently. The ginger beer has a much, much stronger kick than ginger ale, and it’s that powerful ginger bite that the sweetness of the rum evens out. Think of like this if it helps you: the Ginger Gale is a lighter beer, such as an ale. 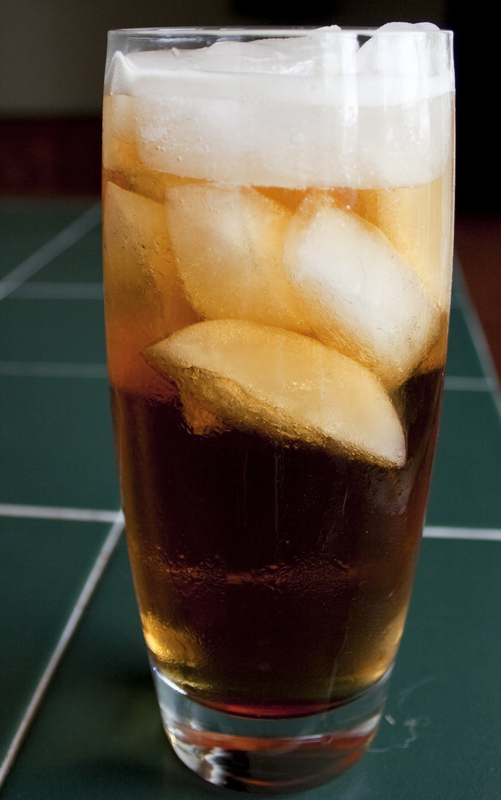 The Dark and Stormy is more like a stout. Darker. Heartier. Tastier.